With those words in 1967 to the gathered membership at the 81st annual American Philatelic Society (APS) convention in Newark, New Jersey, APS President Edward L. Willard signaled the need for a research repository and proposed the “creation of a Library Service” for the Society. At the following year’s convention in Rochester, New York President Willard, along with the APS Board, decided to resurrect the idea of a research library. 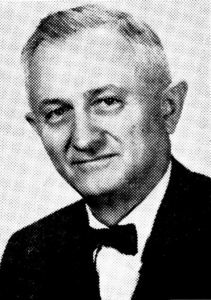 After forming an ad hoc committee led by Daniel Vooys to study the feasibility of a library, the filing of the appropriate paperwork in the Commonwealth of Pennsylvania soon followed and the incorporation of the new “American Philatelic Research Library” (APRL) was granted on October 28, 1968. From this humble beginning in 1968 with a collection of materials donated by members, particularly a large portion of Daniel Vooys’ own personal philatelic library, the APRL has grown to include a vast array of resources that spans the breadth of worldwide philatelic knowledge and research. With the Grand Opening of the APRL’s new 19,000 square foot facility at the Match Factory Complex in Bellefonte on October 29, 2016 thus began a new chapter in the history of the APRL as the research home of America’s stamp society. On November 2-3, 2018 we are celebrating the 50th anniversary of this commitment made by President Willard and all of the APS membership to establish a world-class philatelic research library for the APS and the philatelic community. The celebration will start with a Meet and Greet on the evening of Friday November 2 and will be followed by a full day of events on Saturday November 3. The Golden Anniversary Celebration promises to have something for everyone with displays, tours, authors talks, philatelic mementos, culminating with a Celebration Dinner on Saturday evening with special keynote speaker Herman Eberhardt, Supervisory Curator at the Franklin Delano Roosevelt Library and Museum. Reservations are required for both the Meet and Greet and the Celebration Dinner and will be accepted on a first come first serve basis with a limited number of seating for both. For more information about the Golden Anniversary event consult the event webpage and to then make reservations contact the library at either stiffney@stamps.org or (814) 933-3803 ext.246. Make plans to come celebrate your research library with us today! But are you aware the real truth of online internet marketing. The sites those do not reply or link back are stripped away from your net site. Write a keyword title that correctly describes what your page equals.